The music-streaming service will make exclusive content available to the mobile phone service’s customers. 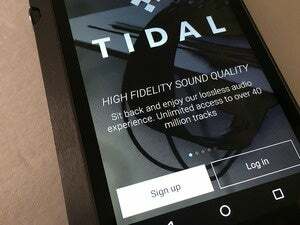 Mobile phone service provider Sprint announced this morning that it has taken a 33 percent stake in Tidal, one of the few music-streaming services to offer high-resolution audio streams. As part of the deal, Sprint says its customers will get exclusive access to certain content. Sprint CEO Marcelo Claure will also join Tidal’s board of directors. Prior to this investment Tidal had been unique among the major music-streaming services in that it was owned by a coalition of recording artists, including Jay Z, his wife Beyoncé, Jack White, Madonna, and several others. This ownership arrangement has enabled the service to offer exclusive streams and music videos to its subscribers. According to Sprint’s press release, Sprint’s investment means that “Tidal and its artists will make exclusive content that will only be available to current and new Sprint customers.” We’ve reached out to Tidal and Sprint to ask if that means Sprint customers will get content that Tidal subscribers won’t. Tidal is also one of the few media-streaming services to offer CD-quality music (in FLAC format) as a premium, $20-per-month tier. That's double what competing streaming services charge, including Spotify, which streams MP3 files, and Apple Music, which uses the AAC format. Tidal has sought to further differentiate its higher-end service by adding support for the MQA (Master Quality Authenticated) codec at no additional cost (the service offers 30,000 MQA tracks from Warner Music Group). The story behind the story: Jay Z dropped $56 million to acquire Tidal in early 2015, but Sprint’s press release is light on details, including how much its 33 percent ownership stake is worth and whether it was made with cash, stock, or a mix of the two. (An unnamed source told Marketwatch the stake is worth $200 million.) Here’s hoping that it was cash and that Tidal’s management dedicates a chunk of it to improving its product and infrastructure, especially its clunky app. Despite the exclusive content and the availability of higher-resolution music files, Tidal has struggled to differentiate itself from the competition. The company has had a tough time convincing a generation of music fans who’ve grown up with relatively low-resolution MP3 and AAC files being the only recorded music they’ve ever heard that FLAC—and now MQA—are worth paying double for.